Type and Characteristics - Twin-screw, iron-hulled steamer, claimed to be the first vessel built especially for marine research; built by by Pusey and Jones, Wilmington, Del, laid down March 1882, launched 19 August 1882, commissioned 11 November 1882. 638 tons, 234ft long x 27ft beam x 16ft draft, 10kts, 110 crew, first commanded by Lt. Zera L. Tanner, who superintended her design and construction. 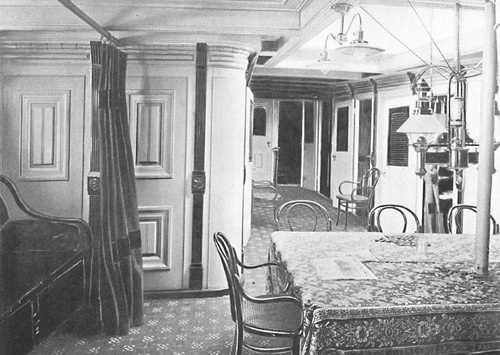 Log Period and Areas of Service - 1884-1921, North Atlantic, Pacific Ocean, Caribbean. 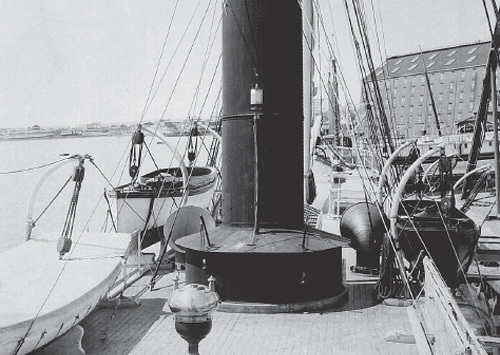 1882-c1894 – Navy-manned but assigned to the United States Fish Commission. Mainly engaged in marine, fish and hydrographic studies. Mainly based in San Francisco. December 1882-February 1883 – Carried out trials followed by alterations to engines. In April, departed Potomac for several months' operations out of Woods Hole, MA. 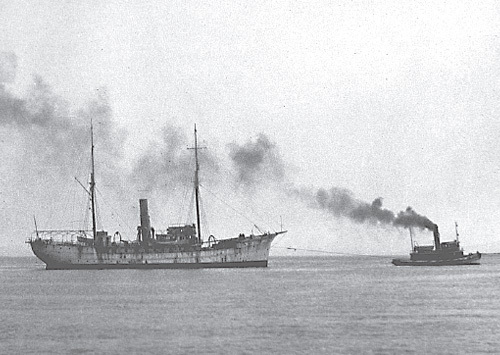 1884 – Operated out of Norfolk, VA, carrying out hydrographic work in the Caribbean for the Navy. From July to October, worked out of Woods Hole and Washington, DC, between Virginia Capes and Gulf of Maine. 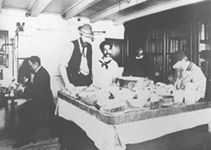 1885 – Cruised from Washington, DC, to Pensacola, FL, and New Orleans, LA, in first half of year. In second half, investigated Newfoundland Grand Banks, and Virginia and Delaware Capes. 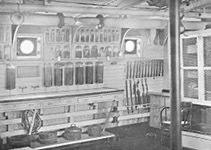 1886 – Off the Bahamas, including hydrographic surveys, early in the year. Latter part examining cod and halibut stocks off Canadian Maritime Provinces and dredging off Woods Hole. 1887 – Spent much of year at Washington and Baltimore preparing for Pacific cruise. In the autumn, carried out trials with new boilers, followed by sounding and dredging along the Gulf Stream. In November, departed Norfolk, VA, for the Pacific via Cape Horn. 1888 – Arrived San Francisco 11 May, via Punta Arenas and the Galapagos Islands. For remainder of the year, operated out of San Francisco, exploring waters of Alaskan peninsula, Washington and Oregon. 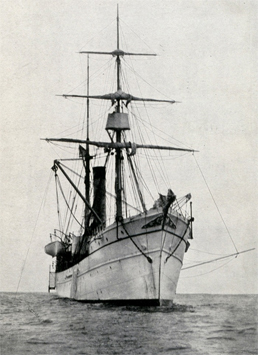 1889 – Departed San Francisco 3 January for studies in the Gulf of California. Returned in April, then proceeded to Seattle for fishery and hydrographic studies, again off Washington and Oregon. In July, operated from Tacoma, WA, and carried four members of the Senate Committee on Indian Affairs on visits to main Indian settlements in SE Alaska. Then in August, sailed from Port Townsend, WA, for Bering Sea, but an engine breakdown on the 7th forced her return. Sailed again on 22nd and carried out studies off Pacific NW and California. Started overhaul in Mare Island Yard on 25 October. 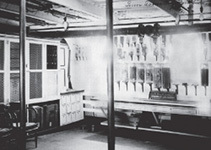 1890 – Completed overhaul in March, then continued investigations between Point Arena and Point Concepcion. 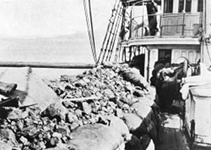 On 5 May 1890, departed San Francisco for Alaskan waters and Bering Sea until September, then returned to coasts of Washington, Oregon, and California. 1891 – Sailed for Panama on 30 January and embarked zoologist Alexander Agassiz for an expedition to the coasts of Mexico, Central America and the Galapagos. 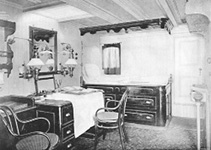 Agassiz disembarked at Guaymas, Mexico, on 23 April and the ship returned to San Francisco. In July, departed for Pribilof Islands with members of the Bering Sea Commission who were preparing the US case for the Tribunal of Arbitration at Paris. August to September, carrying out hydrographic studies in the Strait of Juan de Fuca. On 9 October 1891, started to survey route for a telegraphic cable between San Francisco and Honolulu. 1892 – Completed survey work on 16 January. In March, departed for Unalaska, Alaska, the Bering Sea and the Aleutian Islands, to carry out fur seal investigations until July, when leaky boilers forced her to return for repairs, followed by yard work at Mare Island. 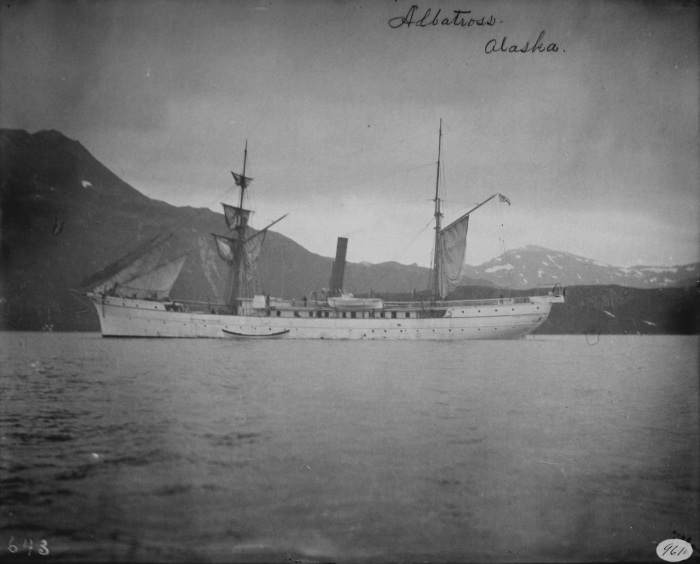 1893 - Returned to Aleutian waters in the Spring to continue fur seal and fishery investigations. Back in San Francisco in September. 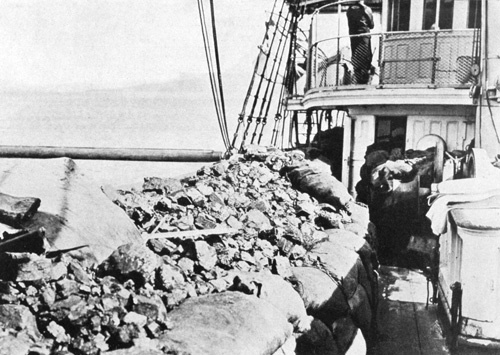 1894 – January-March, carried out biological survey of San Diego Bay. In April, sailed for NW Pacific and investigated seal and salmon fisheries in Puget Sound area, and in the autumn, patrolled Bering Sea and studied fishing grounds and fur seals until returning to San Francisco on 17 October. 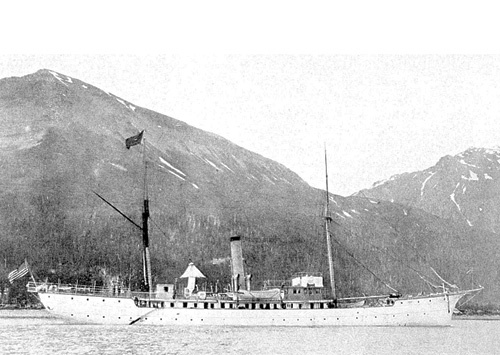 1895 – Departed 18 May for Bering Sea. 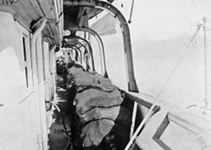 Although not part of the Bering Sea fleet, helped enforce fur seal regulations while still carrying out hydrographic studies. Followed this with investigation of Puget Sound salmon fisheries. 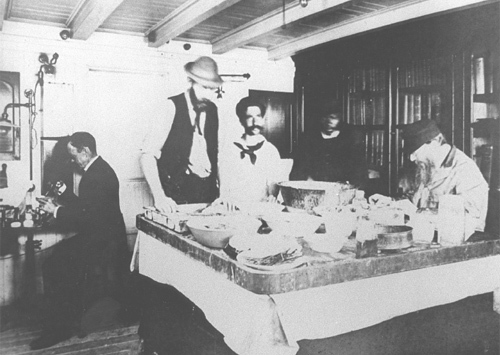 1896 – Made surveys of San Diego Bay, taking part in the April "La Fiesta de Los Angeles", assisting in the May speed trials of new battleship USS Oregon, and investigating oyster grounds in San Francisco Bay. Headed back to the North Pacific and for six months, carried out fur seal studies in the Pribilof Islands, Sea of Okhotsk and Kurile Islands. Returned to San Francisco on 11 December, and after repairs, sailed on the 30th for the fishing grounds off Los Angeles. 1897 – Completed work off Los Angeles and Farallon Islands, returning to San Francisco in April for overhaul. Sailed in May for fishery studies in Puget Sound, off Cape Flattery, and SE Alaska, returning in November. 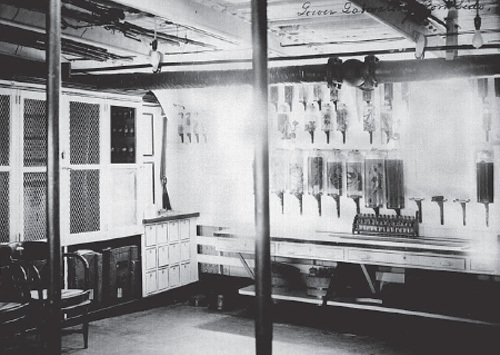 1898 – On the declaration of war against Spain, transferred to the Navy in April for conversion at Mare Island to an auxiliary cruiser, including an armament of two 20-pounders, two 37-millimeter guns, one 53-millimeter gun and two Gatling guns. Sailed in August for Acapulco just as the war ended. 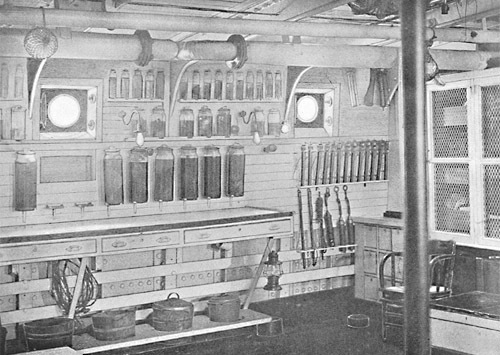 Returned to Mare Island on 8 September to land her guns and revert to the Fish Commission. 1899 – Following repairs and modifications, sailed from San Francisco on 23 August for the Far East, again with Professor Agassiz on board. Carried out deep sea studies in the Marquesas, Paumotu, Society, Cook, Tonga, Fiji, Ellice, Gilbert, Marshall, Caroline and Ladrone Island groups in the South and Central Pacific. 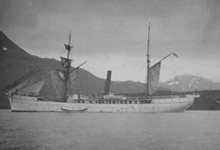 1900 – Remained, after Agassiz left ship at Yokohama on 4 March, to carry out in May short dredging trips with students from the University of Tokyo. 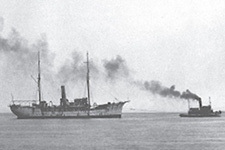 Departed Yokohama 2 June and returned to San Francisco on 30 October, after visits to Hakodate, Japan, and Kamchatka, Russia, and specimen collection in the North Pacific. 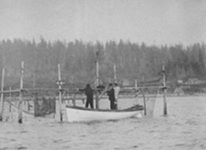 1901 – Sailed on 23 April to study the salmon fisheries of SE Alaska, then in September and October, investigated NW Pacific and California coasts to test possibility of Eastern lobsters and crab being introduced. On 5 December, sailed for the Farallons to stock local waters with lobster and tautog (or blackfish) shipped by rail from the East. 1902 - Sailed for Hawaii in March to carry out fish resource studies around the islands, returning to San Francisco on 1 September. 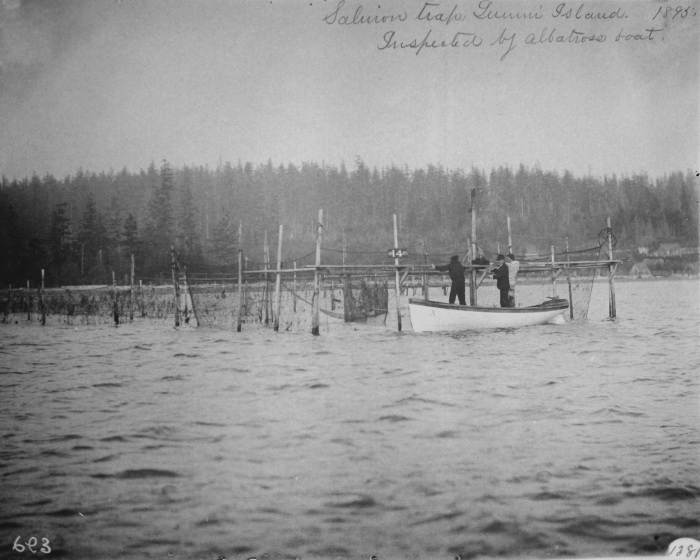 1903 – In the spring, embarked members of a government commission investigating the Alaskan salmon fisheries. Back home on 24 September. 1904 – Early in the year, worked with teams from the Universities of Stanford and California to study the marine biology and fish stocks in Monterey Bay and Point Concepcion waters. Sailed on 6 October for Panama. 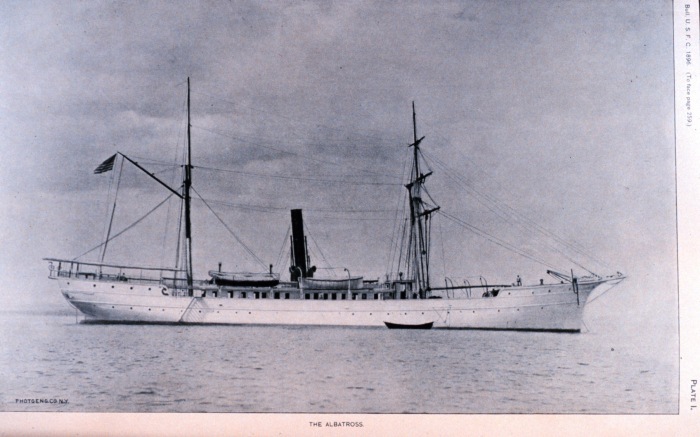 1905 – With Professor Agassiz on board, visited Galapagos Islands, Callao in Peru, and Easter and Gambier Islands. Agassiz carried out a major study of the Humboldt current until leaving the ship on 24 February at Acapulco. Arrived back at San Francisco on 5 April and departed again on 18 May for Alaskan waters and more studies. Also installed a salmon hatchery at Yes Bay. Returned home on 16 November. 1906 – Assisted in relief efforts following San Francisco earthquake on 18 April. Sailed on 3 May for North Pacific, visiting Aleutians, Commander Islands (Komandorskis), Sea of Okhotsk, and coasts of Japan and Korea. Sadly, on the voyage home, her captain, Lt. Comdr. 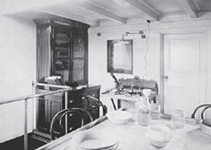 LeRoy M. Garrett, was washed overboard in rough seas on 21 November. Reached San Francisco on 10 December. 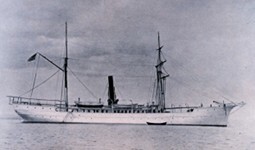 1907-1910 – Following repairs, left on 16 October 1907 for a 2½ year cruise, her longest, to the Philippines and nearby regions, to carry out a major survey of fish and marine resources. Returned home on 4 May 1910. 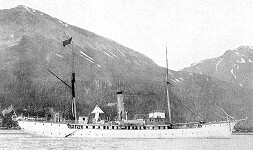 1910 – In the summer, cruised Alaskan waters and the Pribilof Islands, carrying out an inspection tour on behalf of the Department of Commerce and Labor. Returned to San Francisco on 20 September. 1911 – Between February and April, cruised lower Californian waters on an expedition in cooperation with the American Museum of Natural History. Departed on 17 May for Alaska to study halibut and cod fishing grounds off the SE coast and the Gulf of Alaska. Arrived at San Francisco on 2 September. 1912-14 – By now considered unseaworthy, carried out biological studies limited to San Francisco Bay area; later started a major refit at Mare Island. 1914-15 – Departed San Francisco on 12 April to survey fishing grounds off Washington and Oregon coasts. Interrupted that work between June and August to carry the Deputy Commissioner of Fisheries to the Pribilofs to inspect the Central and Western Alaska fisheries. Returned to San Francisco on 15 September. 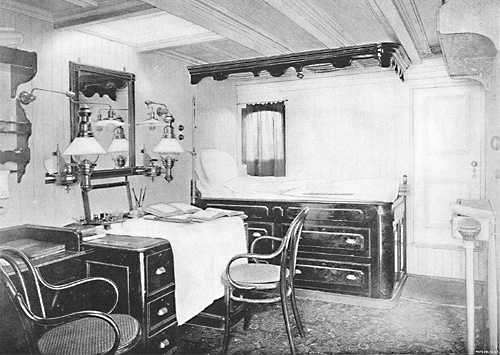 Left on 6 July 1915 to continue work off Oregon and Washington. 1916-17 – From spring to autumn 1916, studied tuna distribution off California coast. Due to lack of funds, laid up October 1916 to April 1917. Transferred to US Navy in May with the outbreak of WWI. Taken over in November, repaired at Mare Island and armed with four 6-pounders and a Colt automatic gun. 1918 – Departed San Francisco on 14 January, reaching Key West, FL, on 14 February to serve with the American Patrol Detachment protecting vital tanker traffic in the Gulf of Mexico and Caribbean. Took part in search for missing Navy collier Cyclops in March. Released from Navy service in November. 1919 – Completed repairs at New Orleans; arrived Norfolk, VA, 30 May and later returned to Bureau of Fisheries. Resumed scientific work, carrying out hydrographic studies of the Gulf Stream between October and December. 1920 – Sailed from Baltimore on 16 February for New England waters. Operated out of Boston for work in the Gulf of Maine. Returned to Baltimore in May. Fate - Decommissioned at Woods Hole 29 October 1921; sold to Thomas Butler of Boston, MA, in June 1924 as a school ship. Departed Boston 12 July 1927 for her first training cruise. Problems led to her being reportedly held in Hamburg on 18 October 1927 "under attachment for indebtedness". Due to be auctioned, but fate not known.